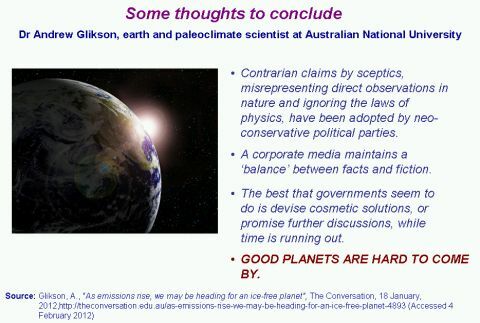 I was very pleased to present on the climate crisis at two recent events in Melbourne. The first was the Annual General Meeting of the Mullum Mullum Festival, covering the municipalities of Whitehorse and Manningham, while the second was the Animal Activists Forum, held at Trades Hall. In the second presentation, a member of the audience asked two related questions. Don’t we need manure from animals to fertilise the soil? Don’t animals enable us to extract nutrition from land which is not suitable for cropping? In response to the first question, I suggested that we could possibly retain animals on farmland without killing them for food, and that the number involved could be a small fraction of the number maintained for the livestock sector. In December 1997, the U.S Senate Agricultural Committee released a report stating that livestock raised for food, produce 130 times as much excrement as the entire human population of the country, roughly equivalent to five tons per annum for every US citizen. In that year, cattle, pigs, chicken and turkeys produced an estimated 1.36 billion tons of solid waste, 90% of which was from cattle. On that basis, it’s not surprising that spills such as the New River incident occur. In relation to the second question, we would not need to encroach on lands that are not suitable for cropping if we were not producing livestock. That’s because the inefficiency of livestock as a food source is causing us to use many times the land area that would be required if we relied only on plants as our source of nutrition. Land that is currently used for animal feedcrops could be converted to crops for human consumption. A recent paper released by the Institute on the Enviroment at the University of Minnesota suggested that, “The world’s croplands could feed 4 billion more people than they do now just by shifting from producing animal feed and biofuels to producing exclusively food for human consumption”. Much agricultural land could also be allowed to regenerate as forest if we were to cease using it for livestock grazing and feedcrop production. As I have stated elsewhere, such an approach is essential if we are to have any hope of overcoming the climate crisis. In Australia, grazing in the rangelands is severely degrading the soil and releasing massive amounts of carbon. It can be intuitively appealing to believe that livestock are an essential component of the food production system. However, the only essential aspect of livestock production is that we replace it with the plant-based alternative. Note: Click here if you would like to download the presentation. My (admitted amateur) understanding is that the answer is “no.” Here’s a blog entry that explains why.